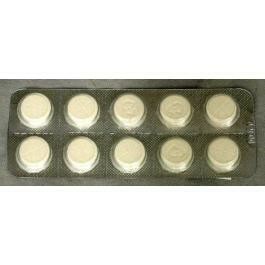 Vegetable Rennet tablets coagilate milk for cheesemaking. 10 tablets per pack. These tablets are made with microbial enzymes which contain no animal products. In hard cheese 1/2 tablet will set 2 gallons of milk in approximately 45 minutes and will last indefinitely in the freezer.